Magnetricity - Is it electricity or magnetics? Is it Electricity or Magnetics or is it Magnetricity? Two people that I know of that studied magnetism more than anybody else are Edward Leedskalnin of Coral Castle fame and Howard Johnson inventor of the Johnson motor and author of "The Secret World of Magnets". Two of Johnson's related patents are patent # 4,151,431 "Permanent magnet motor" and patent # 5,402,021 "Magnetic propulsion system". How to access the US Patent Database for free is described in my book "Electricity - Make it, Don't Buy it". The book also contains a whole chapter on Ed Leedskalnin and his writings. Ed believed that there was no such thing as an electron and electricity - just north pole magnets and south pole magnets. He believed that they were actual particles that circulated from one pole to the other in a twisting, vortex like path. The north pole magnets come out of the south pole of the permanent magnet and travel to the north pole, and the south pole magnets come out of the north pole and travel to the south pole. They travel against one another in a twisting fashion. 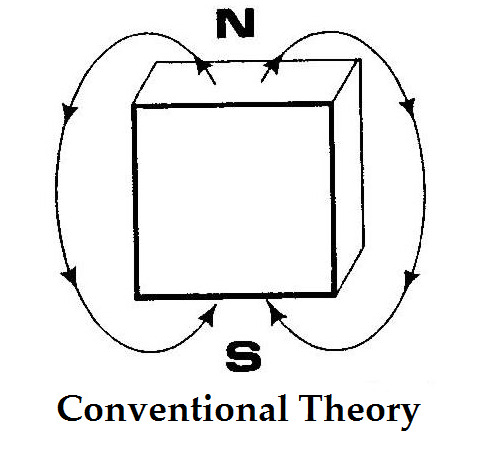 Please excuse my crude drawing, but hopefully you can see Ed's theory in this picture (to the right). Instead of electrons running through a wire to make electricity, he believed that these magnet particles ran through the wire. He also believed that these magnetic particles are what the universe is made of and what holds the universe together. He also states in his writings that these magnetic particles flow easier through certain types of metal than through air. I tend to agree with Ed on this. If you think about it, everything has a magnetic charge associated with it (conventional theories call it an electrical charge). This magnetic charge and the associated attraction and repulsion may very well be the gravity and the glue that holds the universe and everything in it together. Howard, on the other hand, also believed that there were two distinct magnetic particles. 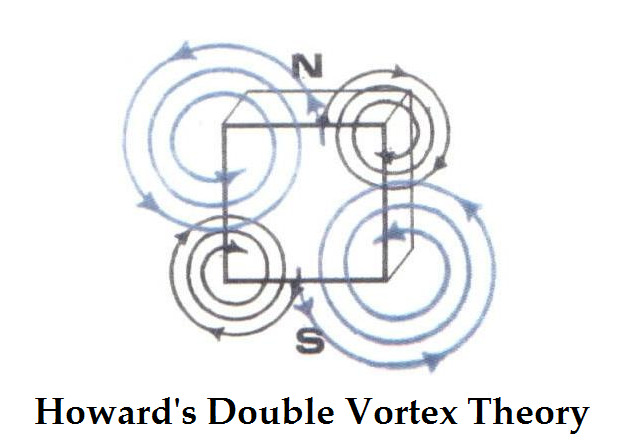 He also believed in these two particles swirling around in what he called a "double vortex". 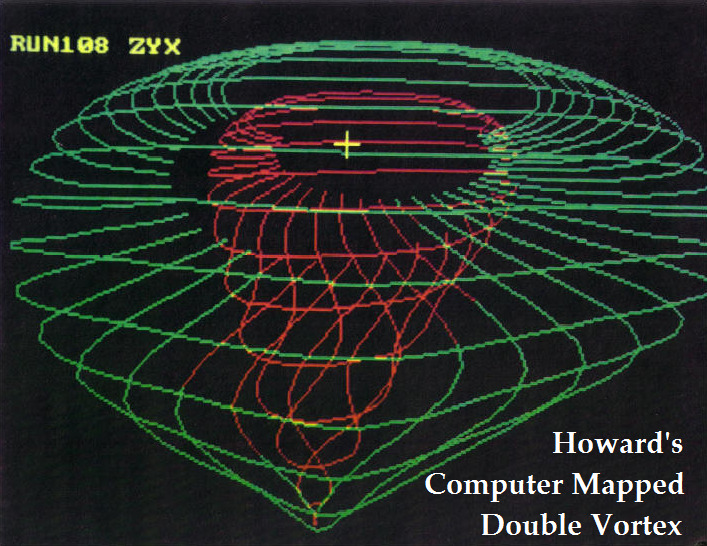 Where Ed used tiny "compasses" made of fishing wire to study magnetic flux, Howard used a sophisticated Hall Effect sensor and a computer to map his magnetic particles and the field lines they created in 3D. 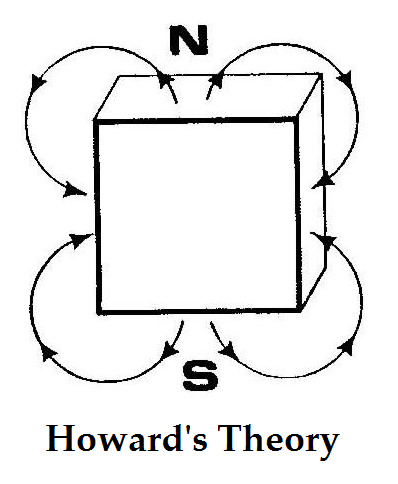 Howard discovered that instead of the flux lines running from North to South, they actually ran from the north to the middle of the magnet and also from the south to the middle of the magnet as shown in the illustration. He also discovered that these flux lines were in a spiral path similar to Ed's conclusions. It's interesting to note that Ed also noticed the "void" created near the middle of the magnet. 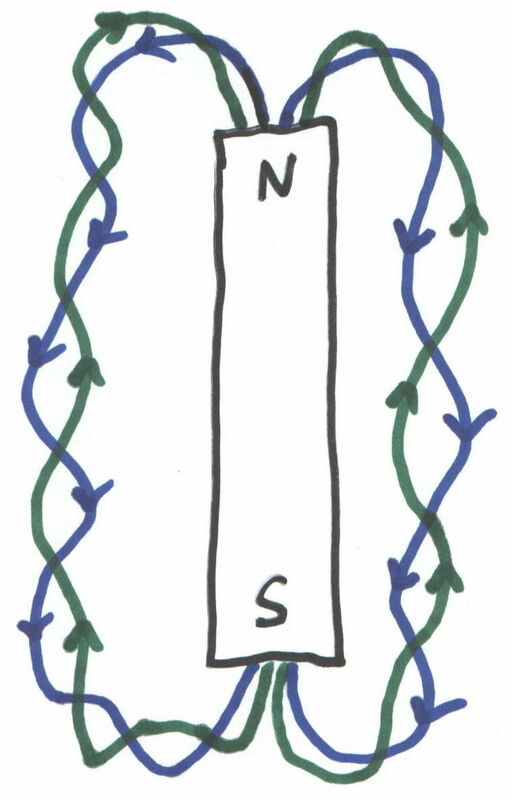 The only real difference I see between Ed's theory and Howard's is that Ed's flux lines ran from north to south and south to north and Howard's flux line ran from north to middle and south to middle. Howard did note that there were a few flux lines that would run from the north to the middle and then instead of swirling back to the north, it would go down to the south (and of course the other way too). It should not surprise you that there are similarities between Ed and Howard's theories because, after all, they were studying the same thing. I encourage you to read more about Ed in my book "Electricity - Make it, Don't Buy it" which you can get at www.electricitybook.com . I also encourage you to look into the patents of Howard Johnson as mentioned above. Also... In the spring of 1980, Science and Mechanics Magazine did a complete article on the Johnson Motor. There's a link in my book to a web page where you can read the actual scanned in article.